You should read the following Terms and Conditions before using any HMMG Pty Ltd website (“thiswebsite”). Your use of this website is governed by the following Terms and Conditions. If you do notagree with all these Terms and Conditions, please exit the website now. By using this website youagree to comply with, and be bound by, these Terms and Conditions. accepts no responsibility for updating or correcting any part of the Information. referable to the Information on this website or accessed through this website. 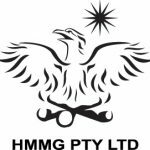 for your personal information or when you use HMMG Pty Ltd services. You must not alter anything. to this website, without the express written consent of HMMG Pty Ltd.
trademark displayed on the website without the express written consent of HMMG Pty Ltd.
HMMG Pty Ltd own purposes. those websites nor do we necessarily endorse the content.